Home / brand new / Cozi Zuehlsdorff / música / MYRNE / MYRNE Unveils New Single "Confessions"
MYRNE Unveils New Single "Confessions"
Time to dance. Monstercat mainstay MYRNE has unveiled his newest single Confessions featuring Cozi Zuehlsdorff. The future bass track pairs a very ethereal intro and bridge alongside a boisterous breakdown. Loving Cozi's vocals! This is a smooth blend of R&B, future bass, pop and lots of energy! Stream it below! 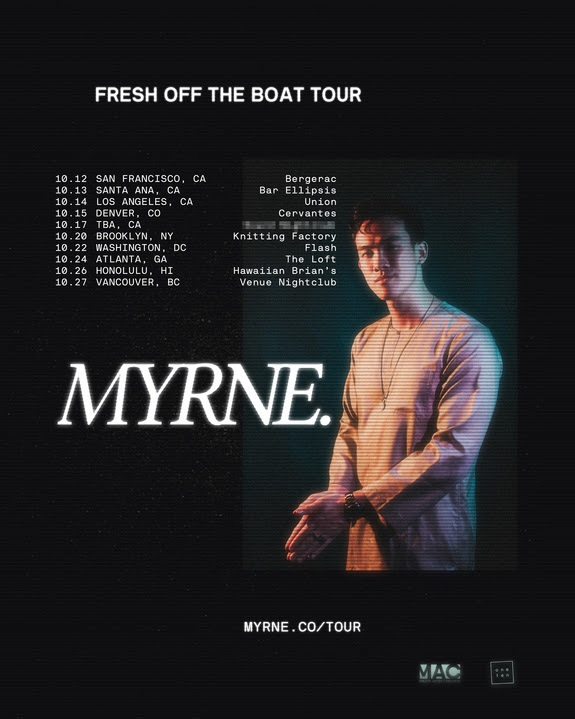 As MYRNE sets sail on his Fresh Off The Boat Tour, fans will certainly be geared to be wowed by Confessions. His energetic live shows, coupled with his years of classical training has planted him at the forefront of electronic music's newest wave. Breaking out from his hometown of Singapore, Manfred takes a truly unique approach to his productions; bringing the whole genre to a new place.